The purchase of commercial property is an exciting and substantial investment. Make the right decision regarding land for sale in Denver, and it equals a massive source of passive income for your business or individual venture. However, the wrong investment can quickly become a headache. Recognizing the difference before you close on land for sale in Denver usually comes down to the knowledge of your commercial property broker. Owners and landlords of commercial property usually focus on a single type of property. For example, if you are redeveloping a multi-family project, you are unlikely to move into the refurbishment or leasing of shopping malls and big-box department stores. Similarly, developers and property managers involved with retail spaces aren’t typically involved in Denver’s downtown office spaces. This isn’t always the case with commercial property brokers. Denver Commercial Properties is a boutique brokerage firm in central Denver, but unlike businesses involved in other aspects of the industry, our smaller size doesn’t limit our knowledge of a specific part of the industry or area of Denver. We work with clients interested in purchasing land for retail, industrial, office, and multi-family uses. Over three generations our company has tracked the commercial property trends in Denver, including what property is a good business investment, which neighborhoods are up and coming, and the best opportunities to purchase industrial space. Denver Commercial Properties also represents buyers and sellers of vacant land zoned for commercial use. While the blank slate of vacant land provides buyers with more options and sellers with a wider range of potential purchasers, some of the unique aspects of vacant land cause issues for the parties involved. Buyers frequently assume that because commercial land for sale is vacant that there are no limitations on what can be done with the property. This simply isn’t true. Vacant land does provide purchasers with more potential. The property could be for office space, retail, or even made into warehouse space. Also, the style of building, look and feel of the structure, and other decisions are left up to the buyer, but the property must be evaluated for other reasons. 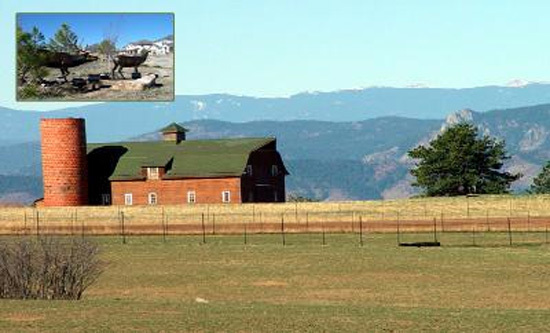 It’s still important to know the size of the property, access to highways and main roads in Denver, current zoning and what uses are permitted, any restrictions on building and design of the building, setback requirements, whether there are easements crossing the property and what prevents being built, what was previously on the property, was the property ever used for dumping or another environmentally unfriendly purpose, and what is the visibility to the property. Forget to consider these other factors when buying vacant land and it could result in a detrimental purchase. To correctly address the unique considerations of vacant land or empty land for sale in Denver, you need a broker that regularly handles these transactions. Denver Commercial Properties has represented both buyers and sellers in transactions for commercial land throughout our three generations in business. We not only know the ins and outs of commercial property in Denver but the specifics of undeveloped land. If you are considering the purchase or sale of commercial property in Denver, regardless of location in the downtown, DTC, or suburbs, work with Denver Commercial Properties. Our brokers are available by phone, email or the contact request form found right here on our website.